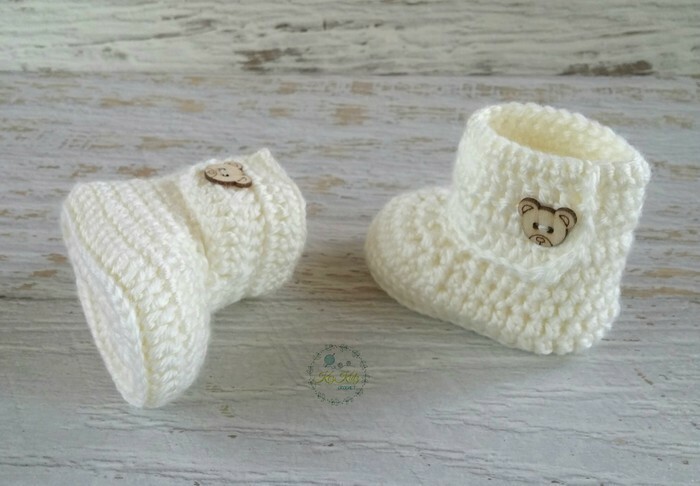 These cute little handmade crocheted cream baby booties with wood teddy button will fit approximately 0 - 2 months. 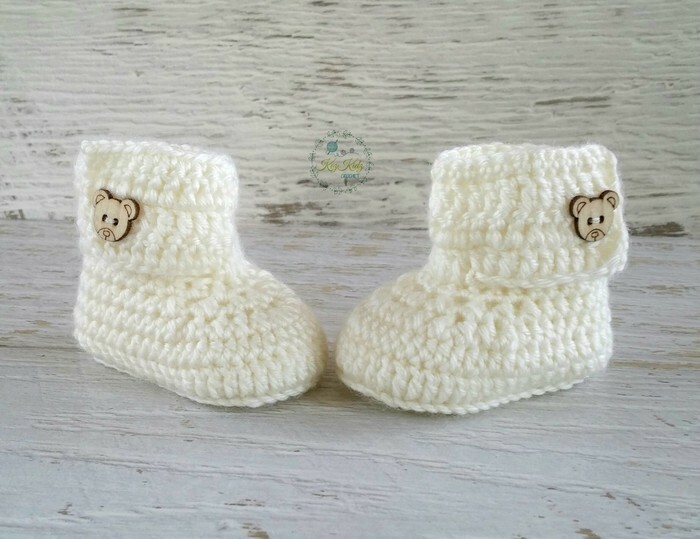 with the sole measuring approximately 8.5 - 9cm in length. 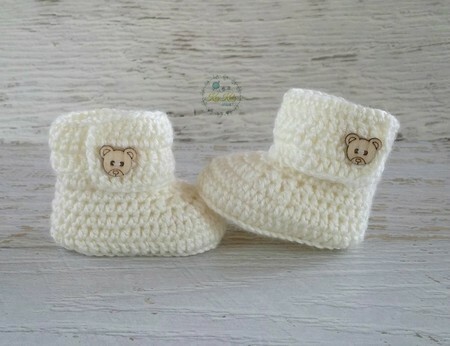 These little shoes are made from cream 8 ply acrylic wool. All Free Postage items are sent STANDARD POST with no tracking number, if you require a tracking number please choose PAID POSTAGE in checkout.